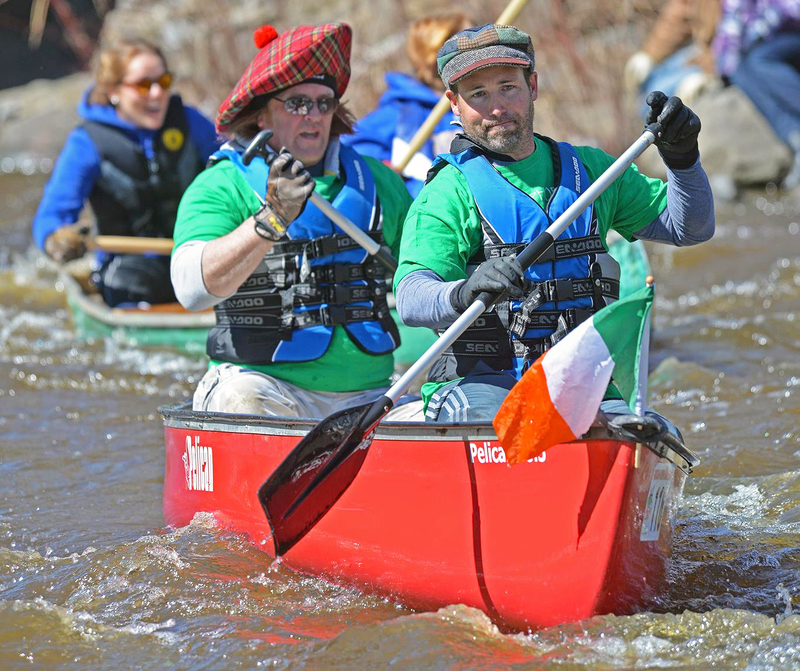 An annual rite of spring returns this Sunday, April 14th with the Raisin River Canoe Race. Racers can register online until April 11 at a discounted rate or on-site on April 14. A pre-race breakfast is taking place from 7 am to 11 am at the St. Andrews Parish Hall hosted by the St. Andrews Knights of Columbus. The official race begins at 10:30 am by St. Andrews Catholic School. Following the race, there will be a dinner hosted by the St. Mary’s Community Centre at the Char-Lan Recreation Centre. Racers are encouraged to visit rrca.on.ca and follow the RRCA on Facebook for additional race information and updates. Visit rrca.on.ca to pre-register. For more information, contact Lissa Deslandes, Raisin River Canoe Race Coordinator, (613) 938-3611 ext. 237, Lissa.Deslandes@rrca.on.ca.